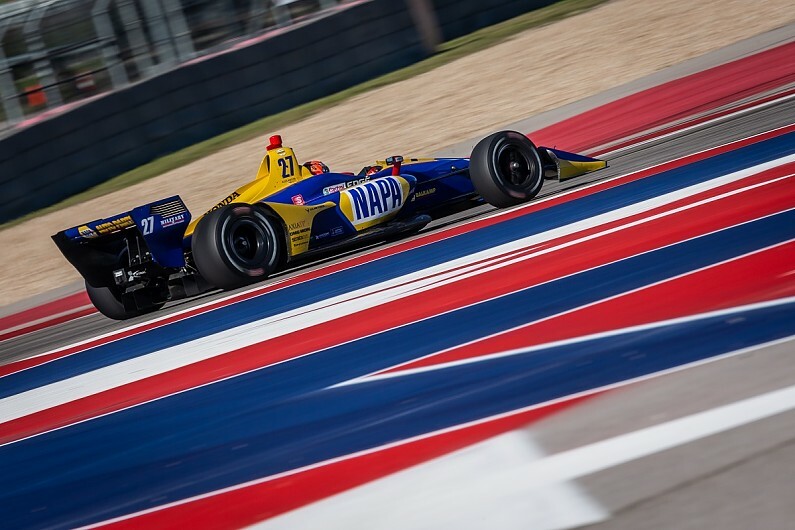 Andretti Autosport driver Alexander Rossi finally loosened the stranglehold that Colton Herta’s Harding Steinbrenner Dallara-Honda had over IndyCar’s ‘Spring Training’ test at Austin in the final session. With his last flyer of the day, 2016 Indianapolis 500 winner and ’18 IndyCar runner-up Rossi set his best lap of the whole test – emerging less than 0.15 seconds clear of Herta, who was a similar distance ahead of Rossi’s team-mate Ryan Hunter-Reay. The two Chip Ganassi Racing Dallara-Hondas of rookie Felix Rosenqvist and Scott Dixon were split by Graham Rahal’s Rahal Letterman Lanigan Racing-Honda in fourth through sixth, while Team Penske’s 2016 champion Simon Pagenaud was fastest Chevrolet driver on the day in seventh. 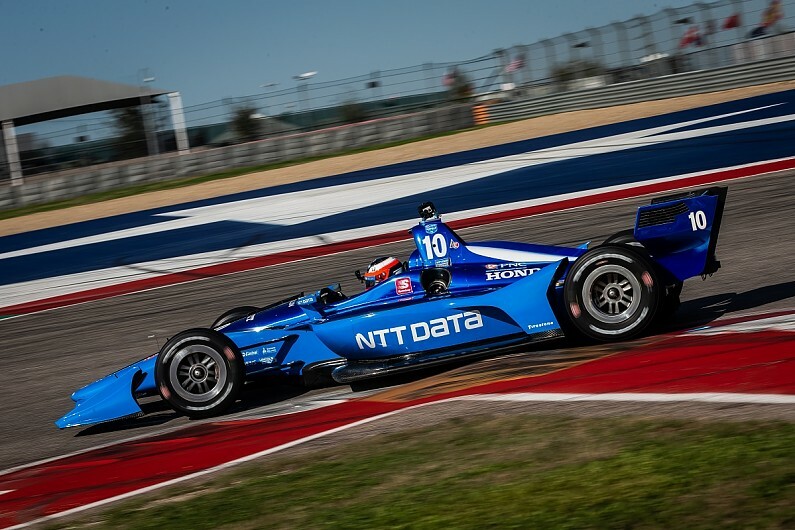 Herta had initially deposed James Hinchcliffe from the top of the timesheets just under an hour into the afternoon, only for Rosenqvist to beat him by half a second minutes later. Rosenqvist stayed on top until Herta laid down a 1m47.4015s – 0.35s faster than the Ganassi driver’s benchmark – with 70 minutes remaining. On the following lap Herta improved to a 1m47.0694s – apparently the only driver able to make his second flying lap faster than his first on the tyre-punishing track. But he was denied a clean sweep of the four-session test when Rossi hit the top spot with a 1m46.8535s late on. Herta closed Rossi’s advantage to 0.1466s but was caught in traffic, although his session two time from Tuesday afternoon remained the fastest lap of the test. Formula 1 convert Marcus Ericsson had challenged his Schmidt Peterson Motorsports team-mate Hinchcliffe for first position early on, before spinning and making light contact with the barrier at Turn 2. Will Power and Jack Harvey also spun later and caused red flags.